As many different groups marched during the Independence celebration yesterday, there was one group in particular that had a certain glow. While other groups represented their own different schools or organizations, this group rallied behind a banner reading Classmates of 1981 but there was no specific school mentioned. The reason was simple. They did not represent just one school but rather, they represented a number of them. Hence the reason behind the color of their matching shirts; each color represented the different school’s they came from. But why would different school graduates come together as one? This genuine group of people may have all graduated from different colleges in 1981 but their education all started together at a small school called Apia Infant. After over 30 years they have reunited once again with their bond from back in the days still as strong as ever with the only difference being their ages and where they are now. 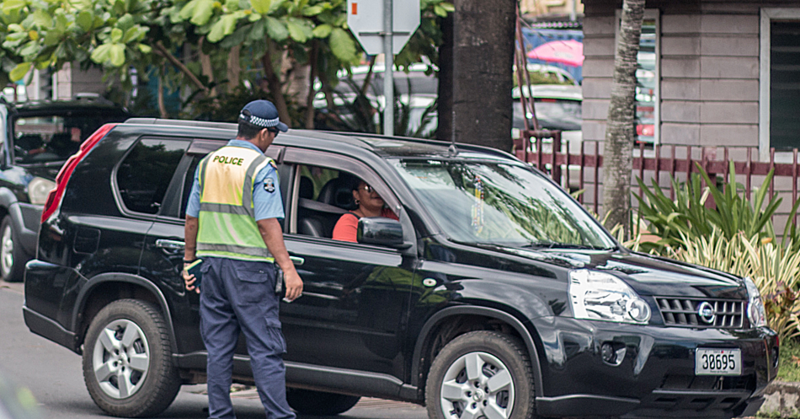 Although different paths were taken, majority of them managed to land top positions in their professions; in fact one of the reunion organizers is the current Director General of Secretariat of the Pacific Regional Environment Programme (S.P.R.E.P. 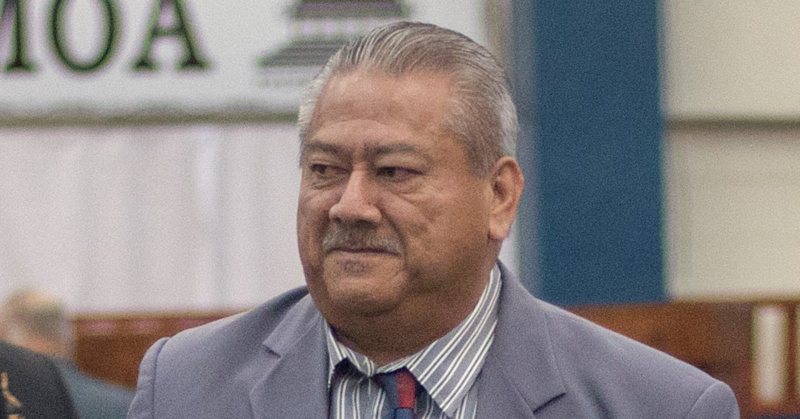 ), Leota Namulauulu Kosi Latu, the first Samoan and Pacific Islander to head the organisation. 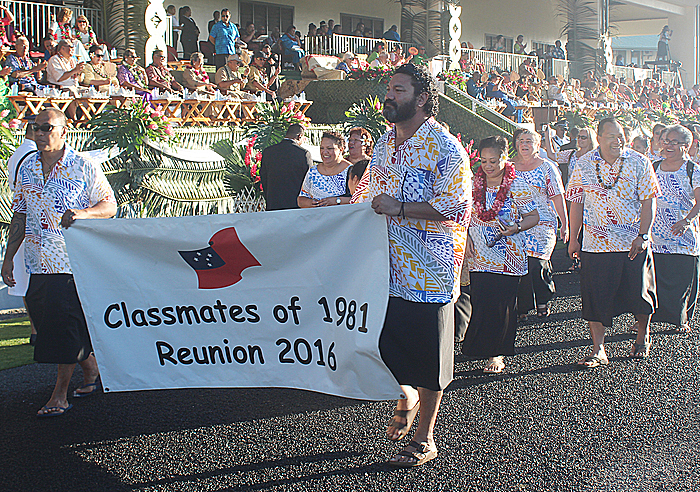 “The reunion in the first instant is an opportunity for our classmates of ‘81 to get together,” Leota told Samoa Observer. “Many of us haven’t seen each other since school, that’s more than 30 year ago; some of our classmates have passed on which reminds us that relationship is important so it’s good to see them all again. “This is also an opportunity to get together and just have a bit of a walk down memory lane and see where people are in life. According to Leota, this is also an opportunity to pay tribute to those who taught them all that was needed. “Another important aspect of this reunion is to acknowledge some of the teachers who have had an enormous influence over our educational background,” he said. 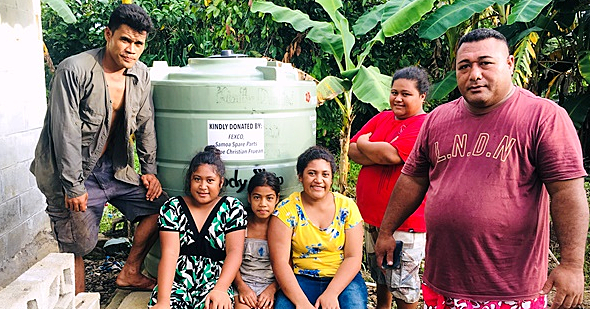 “Many of our classmates have done well, many of them occupy C.E.O positions within government’s various organizations in Samoa and the region. “Some hold very influential jobs, so I guess it speaks of the gifts they posses but also the fact that we went through the same educational system. “I can’t say the same for the current education system; I think there are a lot of challenges but if we had a look back, we can say that we wouldn’t be here if it hadn’t been for those teachers. Leota continued with a brief timeline of how the group began, separated and came together again. “So most of us started in Apia Infant long time ago and we have the photos to prove it,” he said. “We then went to Apia Primary before making it to Leififi intermediate but that’s where it changed; we started splitting up where we went to different colleges. “We have been able to maintain that friendship all this time and so it wasn’t that difficult to organize a reunion like this even though the only common time frame for most of us is our primary and intermediate school years. “Getting together was simply just us understanding the value of looking at where we started and where we are now; we are interested in the stories our old friends have of their journey. “What keeps us together is that bond from our younger school days. Meeting his old classmates has given Leota a sense of pride knowing how well his old friends are doing. “When I see my classmates I feel so proud when you look at where they are and their achievements,” he said. With the entire ruckus going on nowadays with school issues, Leota believes that everyone has their own individual choice in life and that a school’s influence is miniscule over a student’s life. “I don’t necessarily believe that the school determines where you will go in life,” he said. “I think the quality of teachers has a lot to do with where you will end up later down the track because they shape and influence the future. “I also think that as a young person you have to make the choice; you decide by actually working hard and trying your best. As the class of ‘81 enjoys each other’s company, one thing is evident for them all and that is friendships and bonds are important in life. “It’s good to see my classmates after all these years,” Leota said.